The Holy Father’s remarks came before praying the noonday Angelus with a crowd of some 20,000 pilgrims in St. Peter’s Square. He focused on Mary and her visit to her cousin Elizabeth following the Annunciation (LK 1:39-45). Francis contrasted the circumstances of Mary, who had faith, and Elizabeth’s husband, Zachariah, who had doubts. 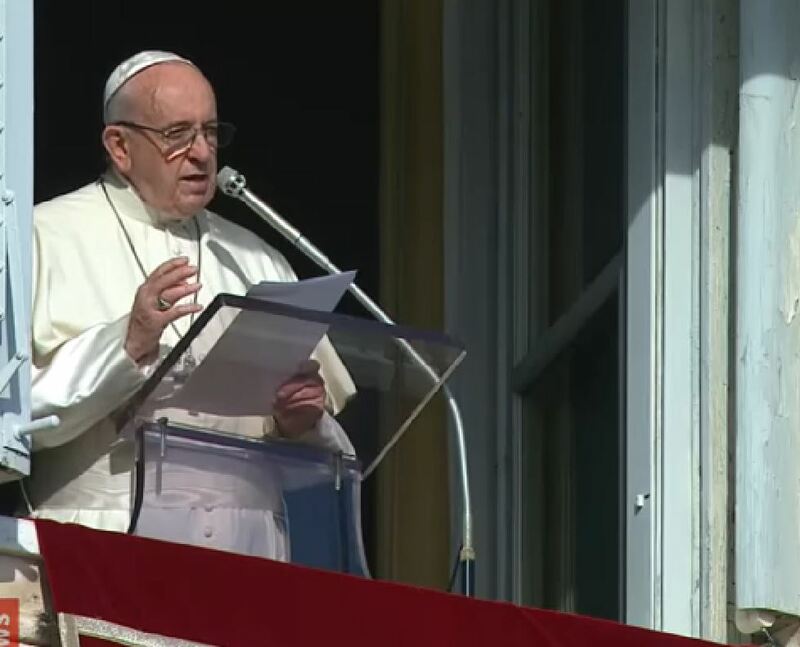 “Zachariah, instead, who doubted and didn’t believe, remained deaf-mute, to grow in faith during the long silence: without faith, we remain inevitably deaf to God’s consoling voice,” the Pope explained. “And we remain incapable of pronouncing words of consolation and hope for our brothers. Francis went on to explain that faith “is nourished in charity.” Mary – always concerned for others – went to see Elizabeth and offer her comfort. “The event of Jesus’ birth began thus, with a simple gesture of charity; after all, genuine charity is always the fruit of the love of God,” the Pope said. “This episode helps us to read with an altogether particular light the mystery of man’s encounter with God; an encounter that is not marked by amazing miracles but, rather, is marked by faith and charity. The Holy Father lamented that people who lack faith struggle daily to assist a person who is suffering. The lack of faith, however, can be strengthened by the offering of charity.